Description: Use Darice Hardware for wooden craft and other home projects. 12 in. 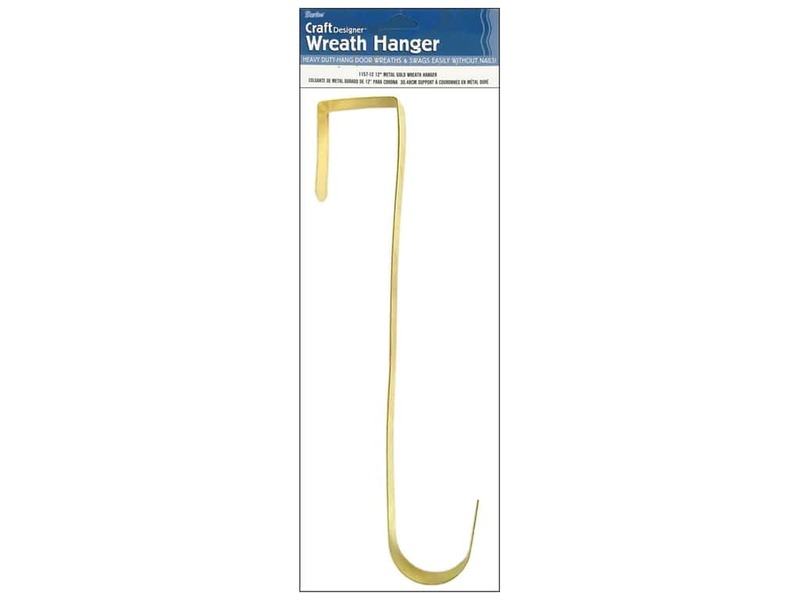 Over Door Metal Gold- Designed as an easy way to hang wreaths or swags. Fit over a door, and then hang the wreath on the hook. Hangs approximately 12 inches.